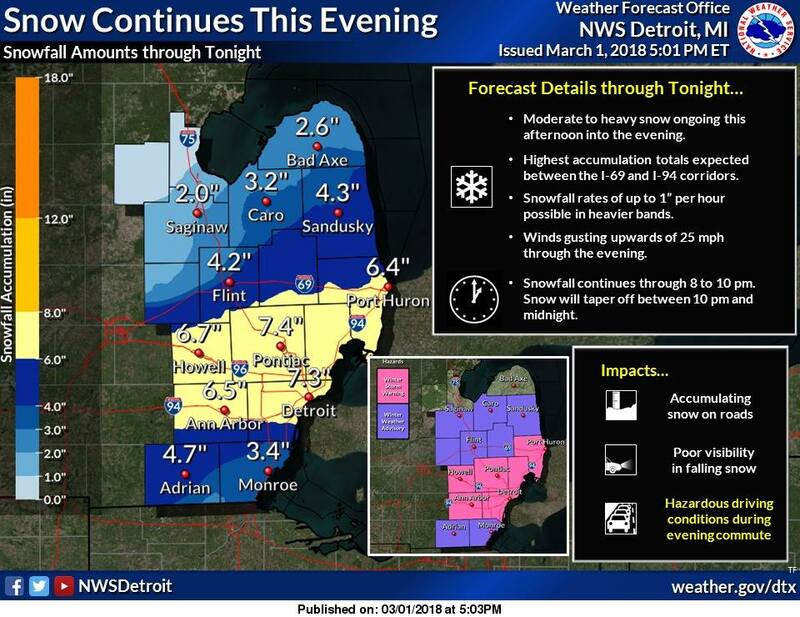 The City of Ferndale has declared a snow emergency effective 8:00 a.m. Friday, March 2. Why is the Emergency Scheduled for Friday and not Thursday? This particular storm has created a dense coverage of heavy, wet snow. DPW needs to spend Thursday afternoon and night addressing high-level concerns: major roads, secondary roads (such as Cambourne and Hilton), emergency routes, downed trees/branches, downed power lines, localized flooding, and more. Once these issues are dealt with, DPW will focus their attention to neighborhood streets. You can return to street parking once the plow has been through and cleared your street curb-to-curb.